« Al Justice is proof that learning to play violin in your forties is achievable. Florida violinist is thankful this Thanksgiving for every note he plays. The teen nearly lost his ability to play to cancer. But, as Erik Waxler reports, he never gave up on his music. When Joe Ginem plays the violin, nothing else seems to matter, “Its definitely my biggest passion.” Joe was coming into his own as a musician when four years ago, when he was 15, what started as a sore arm and shoulder, turned out to be a rare form of bone cancer. Joe had osteosarcoma.”When my arm finally gave out, I couldnt lift anything. I couldnt even pick up a pencil,” Joe said. During a long tough year, there was no music for Joe, just hospitals, surgery and chemotherapy. But he wasnt giving up. Not on his arm and not on his violin. Treatments at Tampas Moffit Cancer Center were successful, but there was a choice to make. “My surgeon gave me the option of being able to make daily tasks easier or being able to play the violin better. And I chose the musician route,” Joe recalls. 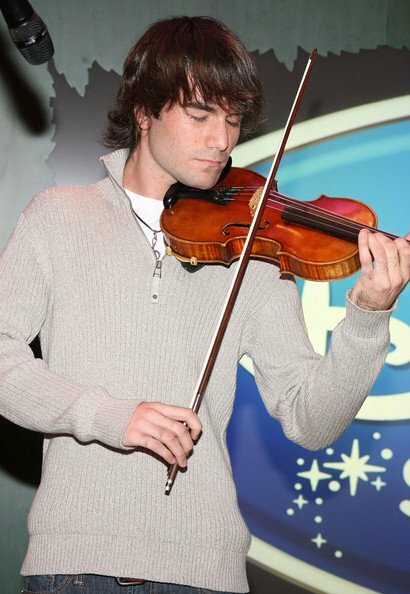 So now, it may be a little more difficult to grab a cup of water, but he can play his violin again. Joes cancer is in remission. When he plays the violin there is pain, but he says nothing like the pain that would have come without his music. Osteosarcoma typically develops in growing bones and is most often diagnosed in patients between the ages of 10 and 25.
via KUSI News Weather Sports San Diego – Teen plays violin again after battling bone cancer. This entry was posted on Wednesday, November 24th, 2010 at 4:40 am	and is filed under Fiddle news and fun. You can follow any responses to this entry through the RSS 2.0 feed. You can leave a response, or trackback from your own site.